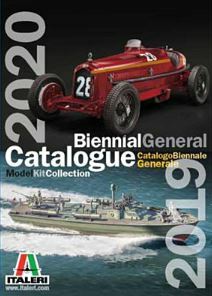 Planned 2019 releases from Italeri, includes some delayed kits, originally scheduled for previous years. We recommend Pre-Ordering to guarantee you get your Kit as soon as it is released. The following is the planned list of new releases from Italeri for 2019. Where there is a date listed, this is the approximate date of release and may be subject to delay or may be cancelled in some circumstances. We accept pre-orders for any of these new items. Payment will only be requested on despatch. We will keep you informed of release information. Details of the Italeri range and new releases for 2019 (Biennial Catalogue). The best shopping cart software by ShopFactory powers D1181. All-in one eCommerce software and shopping cart.